After some fun trips to our respective locations around the world, we are refreshed and ready for some cozy, autumn cooking and entertaining. Marni and I recently hiked up Wachusett Mountain to clear our minds, and of course brainstorm some recipe ideas. We loved seeing the trees turn while hiking the steep, rocky trail and faced a breezy, brisk welcome at the top. 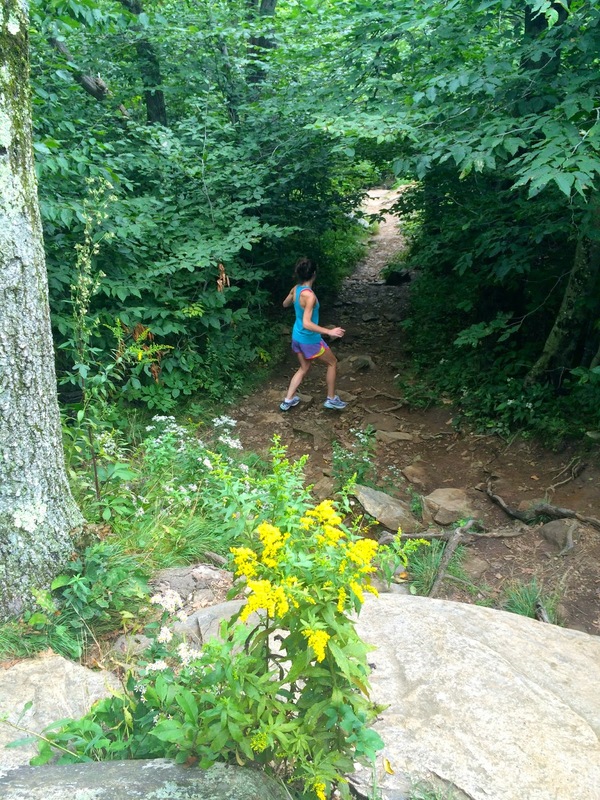 With a faster pace back down, our minds moved from nature to lunchtime. We stopped at our favorite produce spot, Wilson Farm in Lexington to buy some seasonal ingredients. While grazing the aisles and sampling the last crop of heirlooms and peaches, we tried a tomato casserole and were instantly obsessed. Back in Connecticut, I decided to adapt the recipe using my favorite cheeses and some local tomatoes. With a wave of crisp weather outside,and ripe end-of-summer tomatoes on hand, I had the makings for the ultimate savory crisp. It is a bubbly, warming dish with a tangy burst of tomato and crunchy cheese and herb topping. Grease all sides of a medium sized casserole dish with softened butter. Mix the chopped tomatoes with 1/3 cup Mozzarella, 1/4 cup Manchego, 1/4 cup Parmigiano Reggiano, garlic powder, and oregano, and pour into the casserole dish. In a small bowl, mix the breadcrumbs, EVOO, remaining cheeses, thyme and chives. Sprinkle the topping evenly over the tomato layer and drizzle with extra EVOO. Bake in the oven for 15 minutes until the top is golden brown. Serves 4. Serve this as an entree for your next September gathering - it’s an excellent vegetarian option as well!